What is the most memorable about the awesome 1980’s? Is it the Music? The Movies? TV? Some of the most amazing events in history happened in the 80’s, the birth of Music Television, the fall of the Berlin Wall, and a US President getting shot are some of the most talked about news of the day. 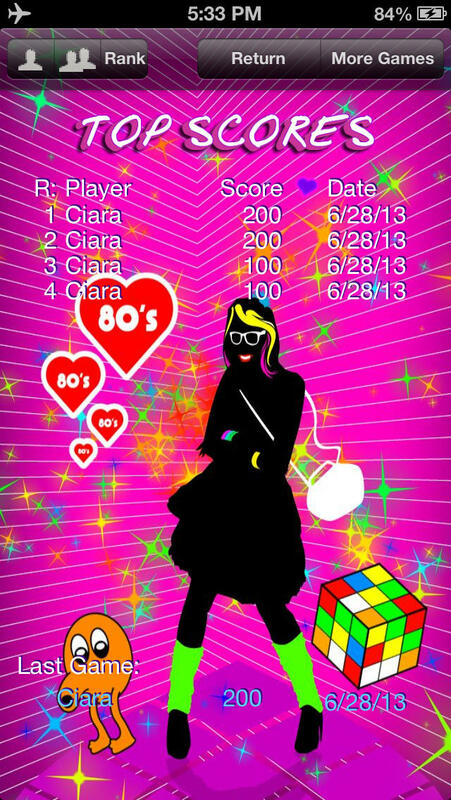 Enjoy and relive hundreds of your favorite 80’s trivia. 80’s Pop Trivia will tingle your memory on your favorite movie and that crazy song along with much more fun for your entertainment.